Following in the vein of his previous work on Warlords of Appalachia and Last Sons of America, Phillip Kennedy Johnson is back with another surefire hit for BOOM! Studios. In the poetically-titled Low Road West, America has become a desolate wasteland with only patches of habitable land. Johnson takes us on a journey with a group of teenage refugees as they seek a promised paradise in San Francisco... while encountering unnatural threats along the way. 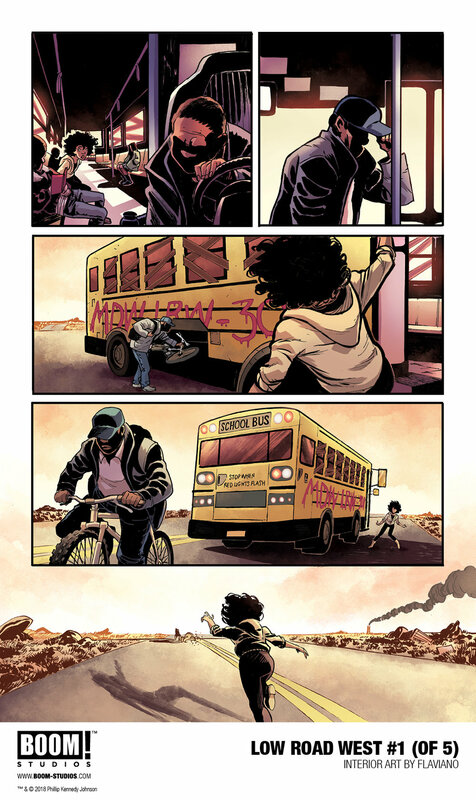 Low Road West will hit comic shops this September. Check out the preview gallery below.